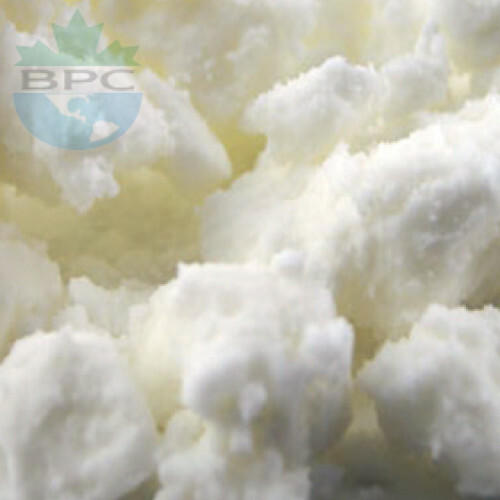 This odorless white butter is very low on short-chain fatty acids and is quite grainy until it melts down to liquid. However, it penetrate into the skin leaving the skin very soft & supple with a soft sheen, and it does not feel oily as most oils and butters do. The superiority of the effect more than makes up for the sandy grains of long-chain fatty acids. Sal Butter. Shorea Sal Butter is obtained from the fruit of the Sal tree (Shorea Robusta) in India. Sal butter is quite solid and hard at room temperature, ideal product to use for skin and hair conditioning, this butter is excellent for use in lip balms, skin, nail and hair-care products. It is so emollient that it can be used by itself to soften hands and dry skin, though it is slower to melt at skin temperature, like cocoa butter. It has a higher melting point, close to the temperature of the human skin, which allows it to easily absorb into the skin.